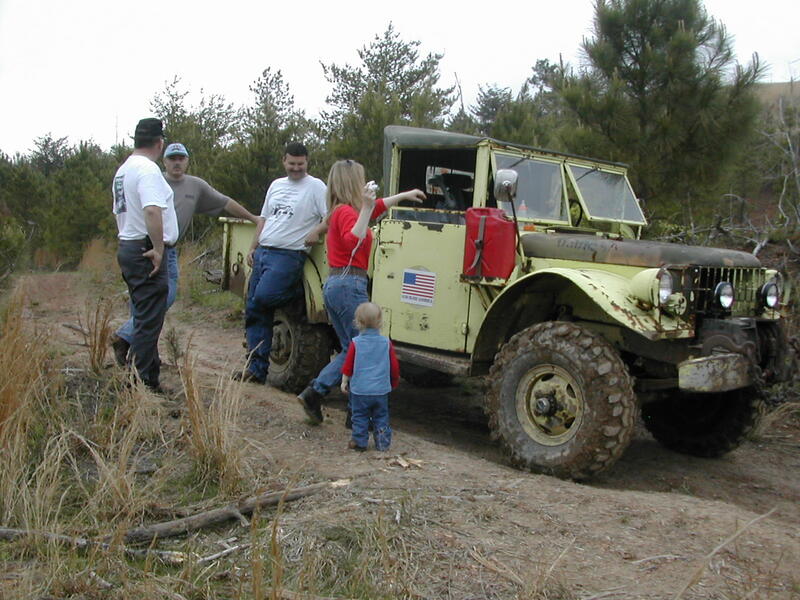 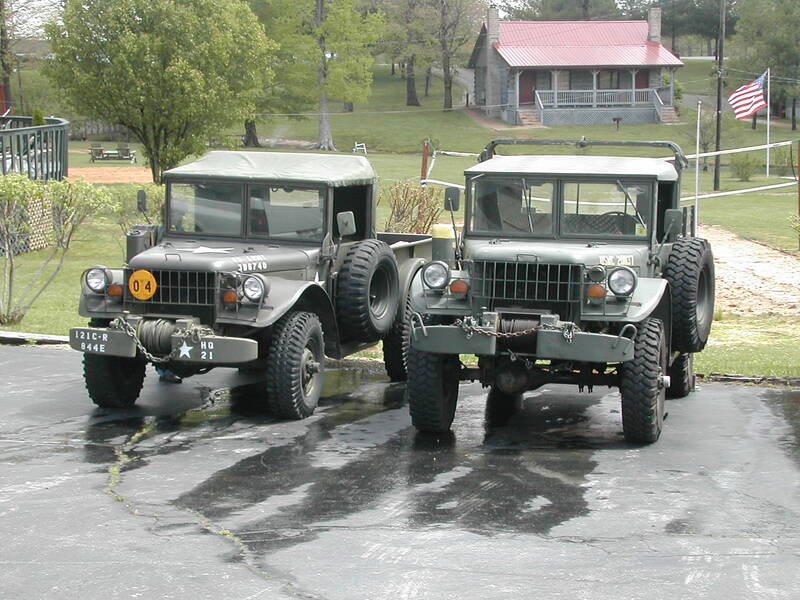 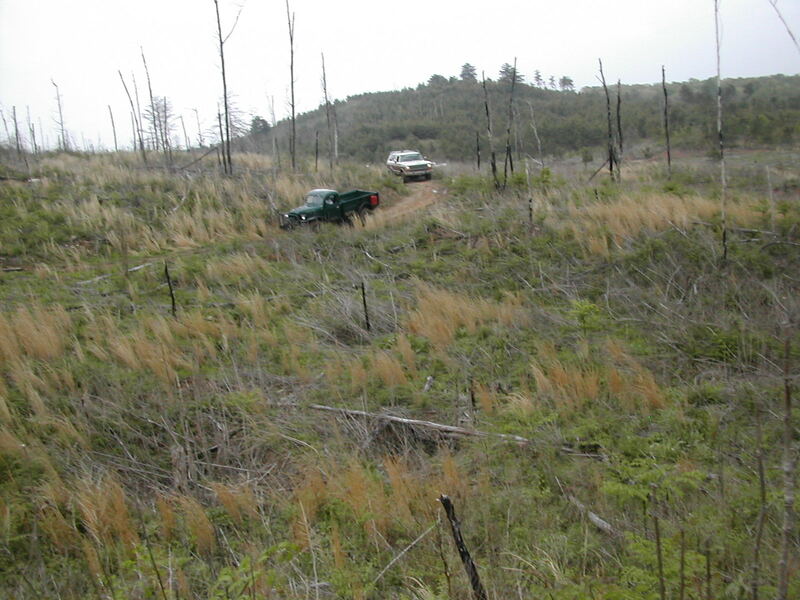 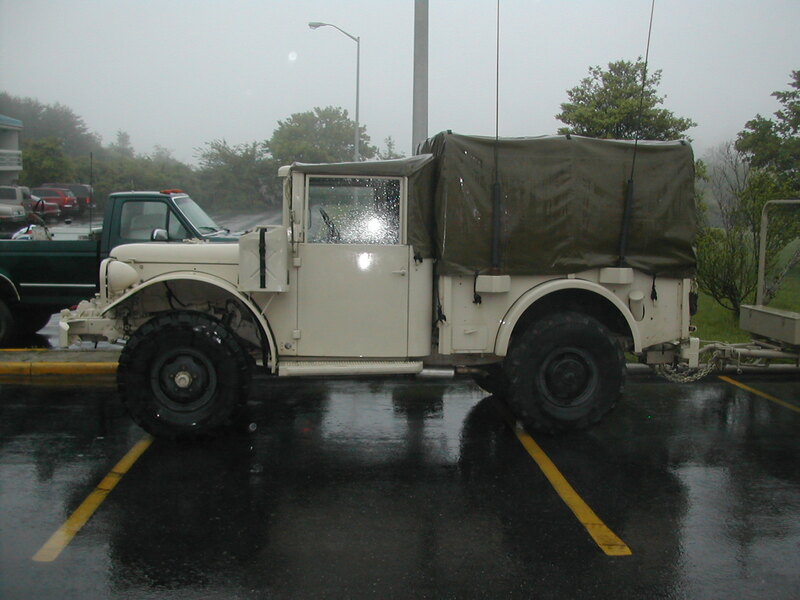 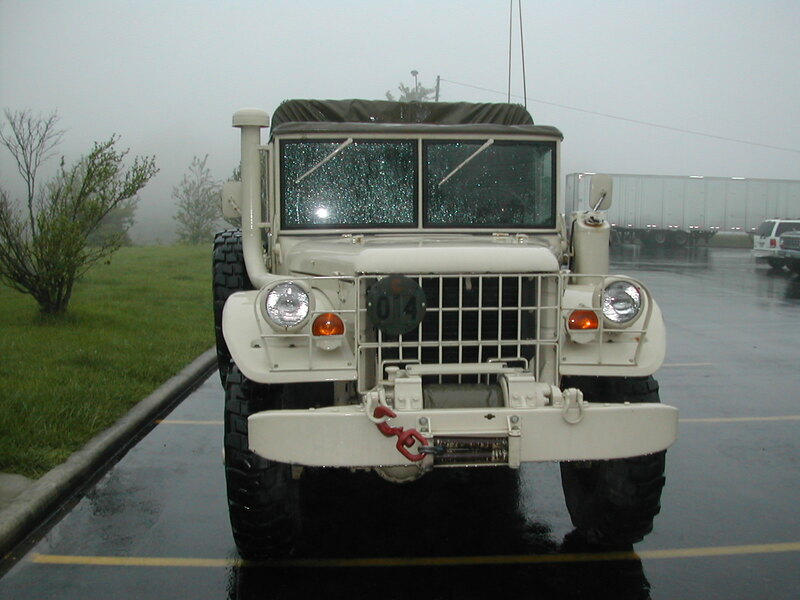 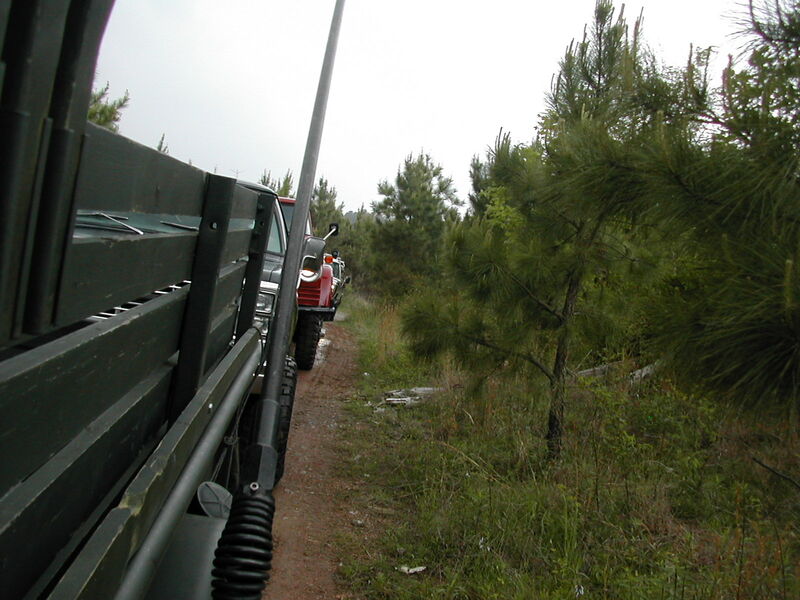 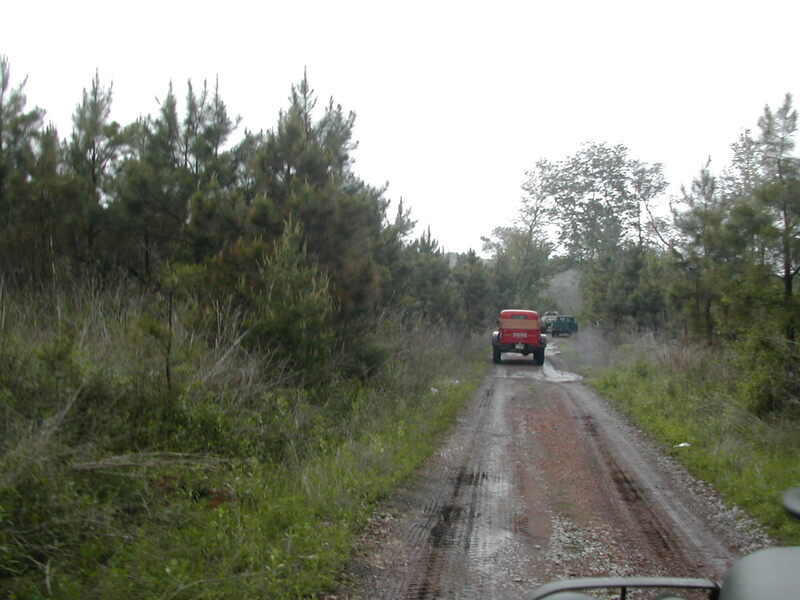 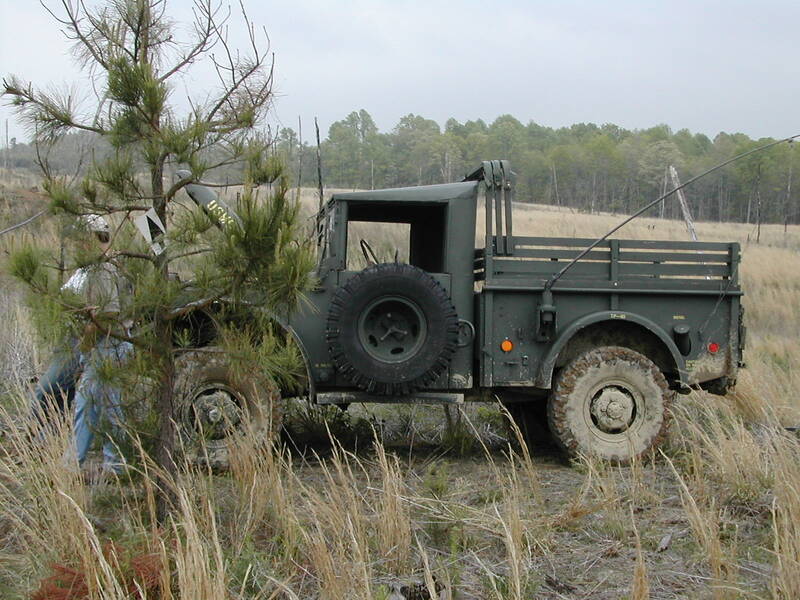 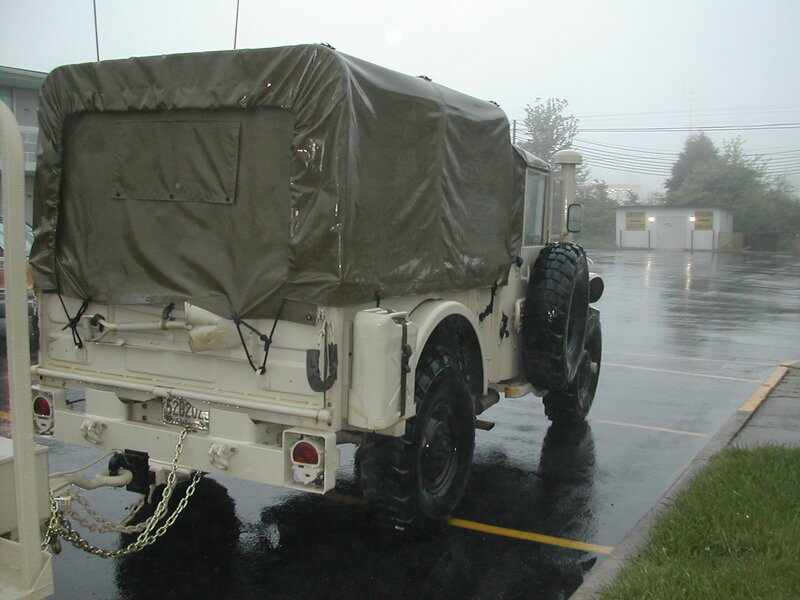 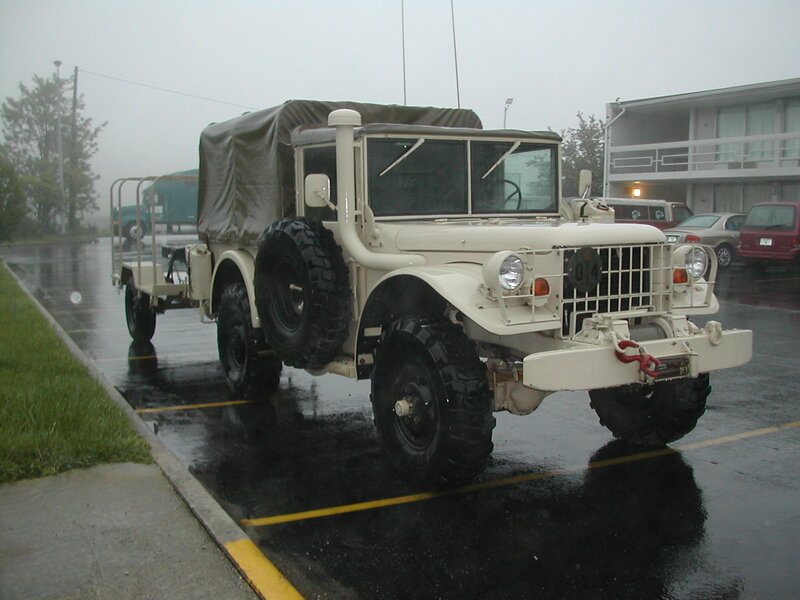 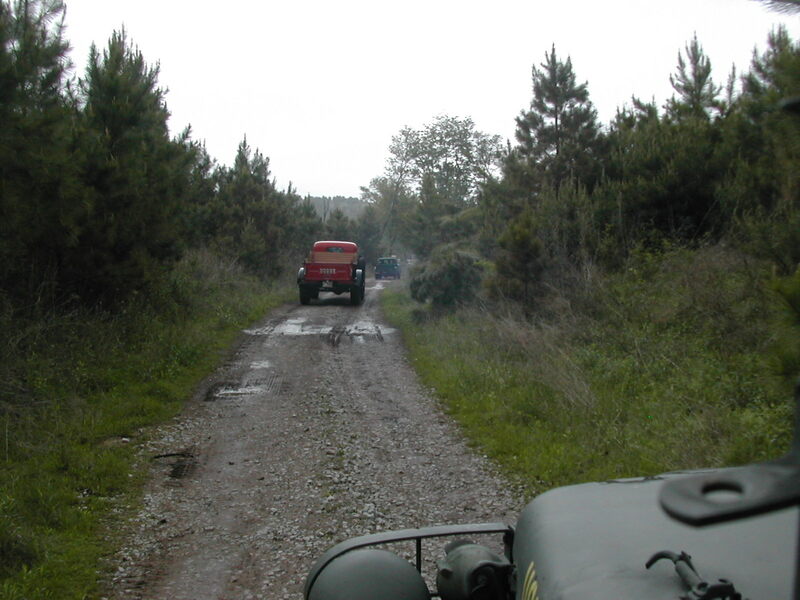 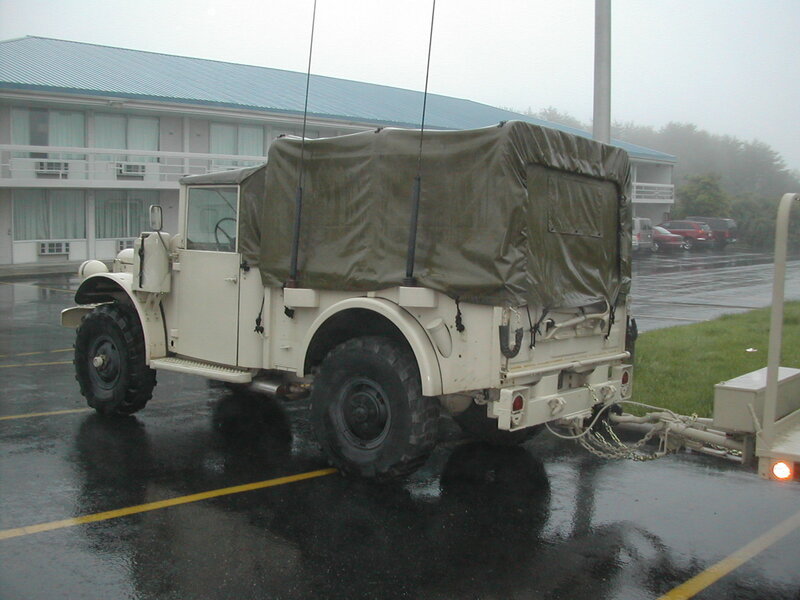 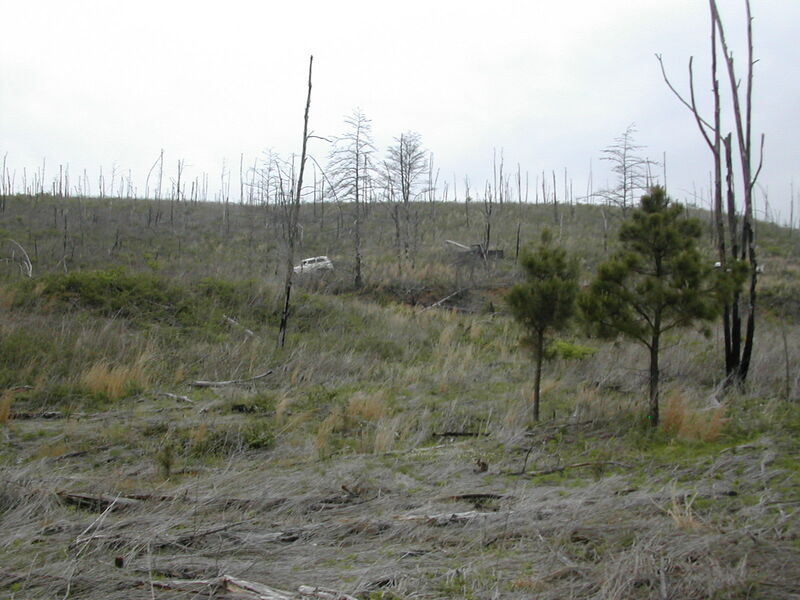 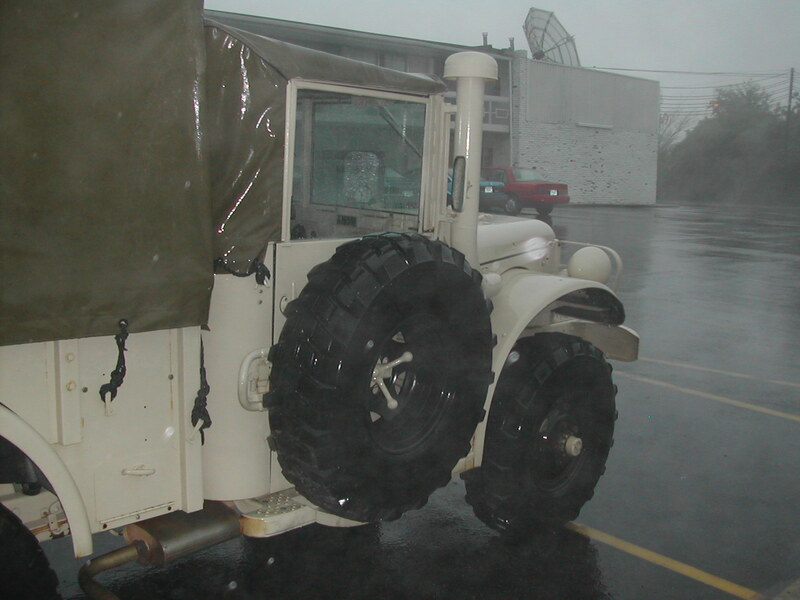 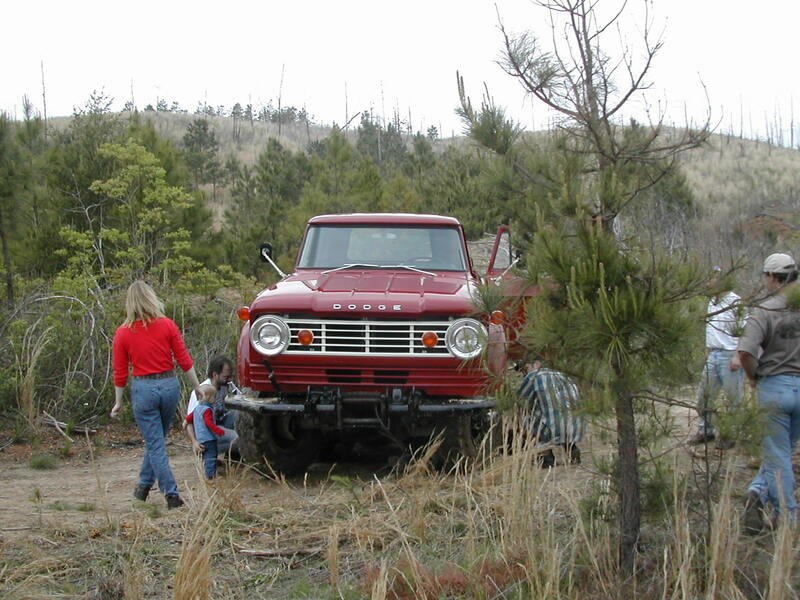 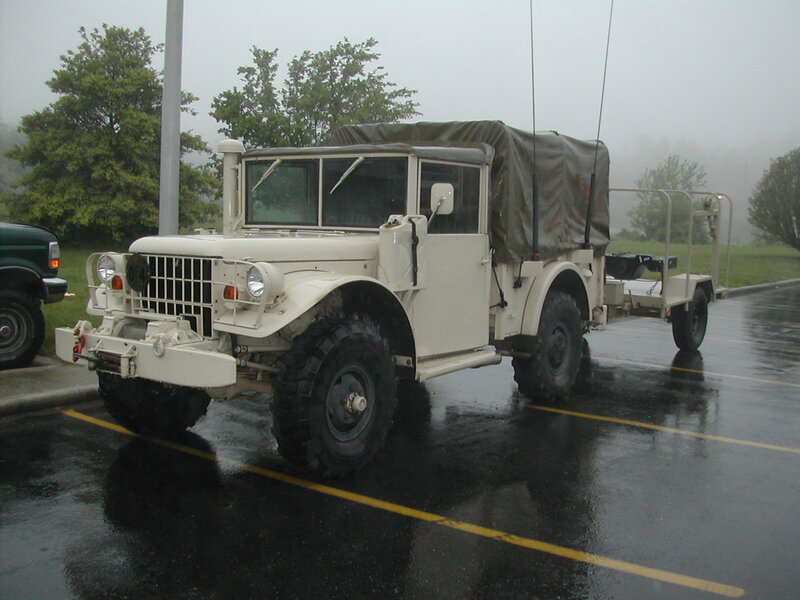 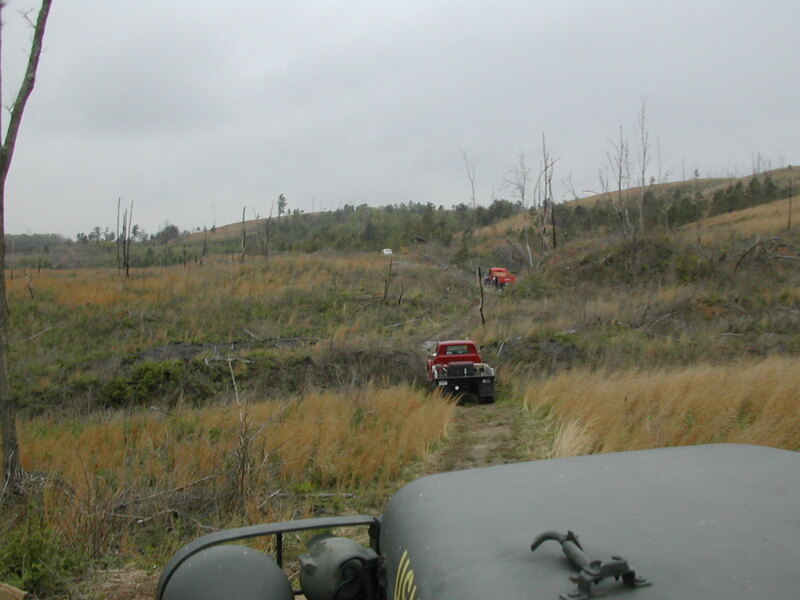 These are some photos that I took during the 2004 Southern Power Wagon Rally held in Monteagle, TN by Dave and Rustie. 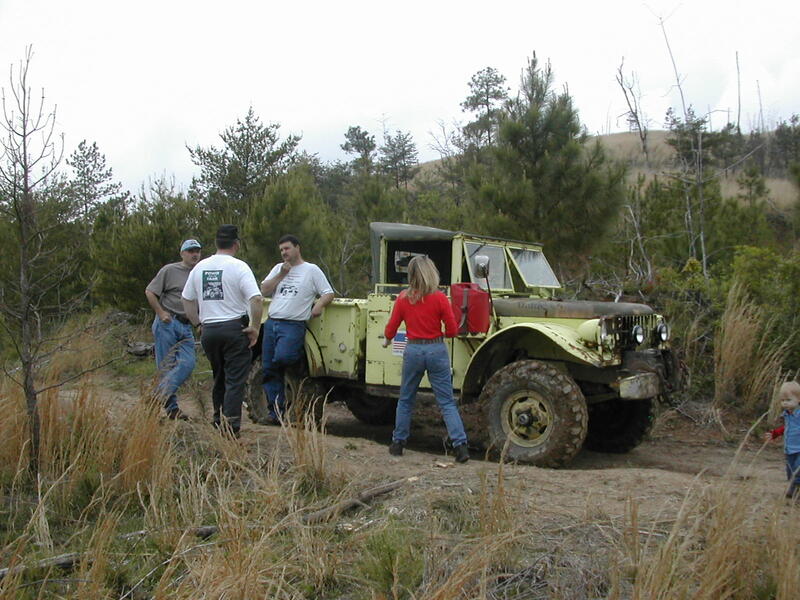 I managed to loose high range in my transmission around Asheville, NC but went on to the rally anyway and had a great time. 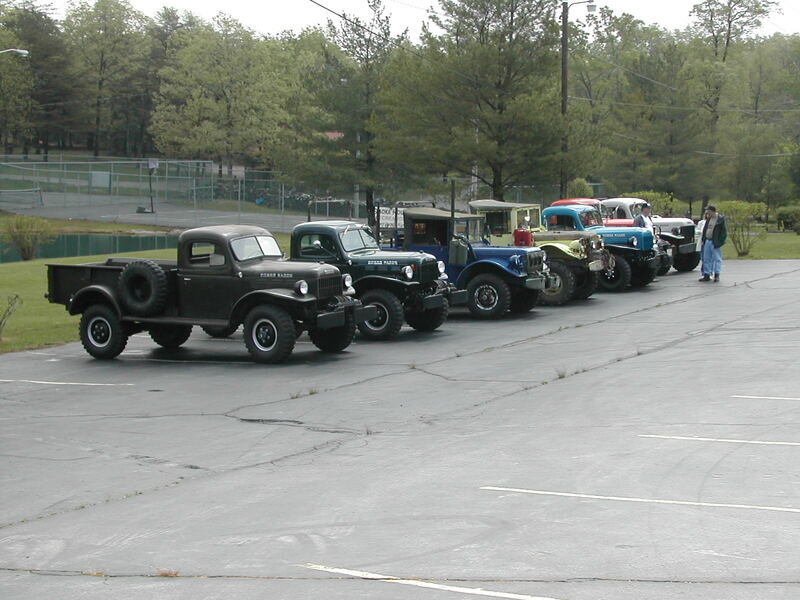 The camera starting acting up on me the first day, so there are only a few photos of the trial ride on Friday afternoon and of some of the trucks in the parking lot... Got back home with no other problems to my truck and I had a great time, so I can truly say that it was a wonderful weekend. 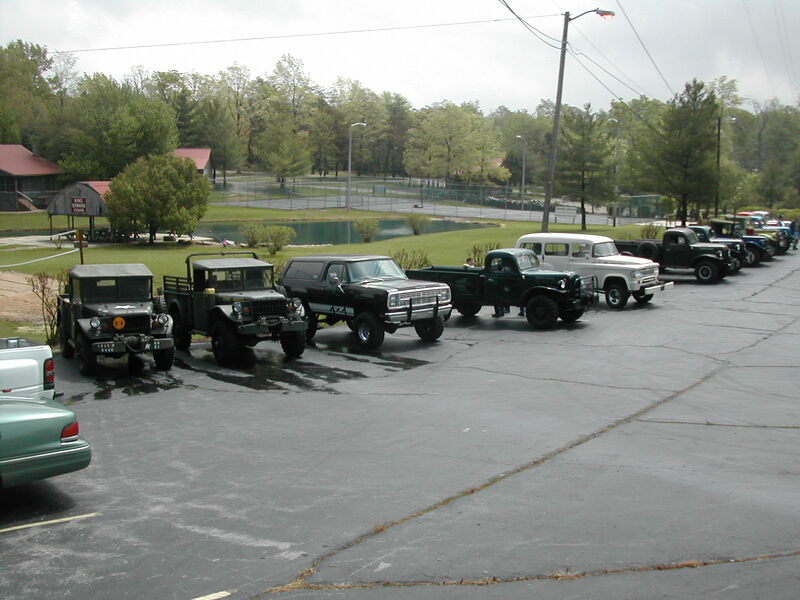 1 My truck (on the right) parked next to a stock M37 at the parking lot upon my arrival at the rally. 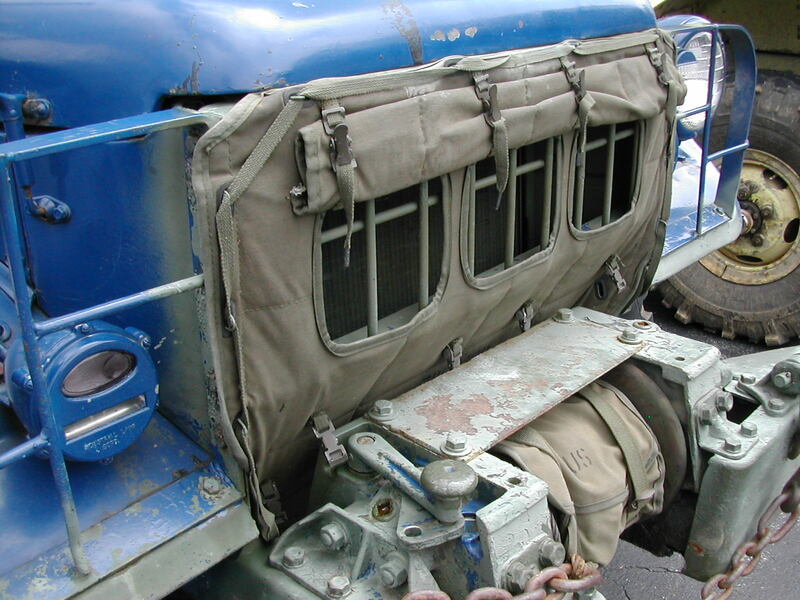 4 Radiator cover on a M37. 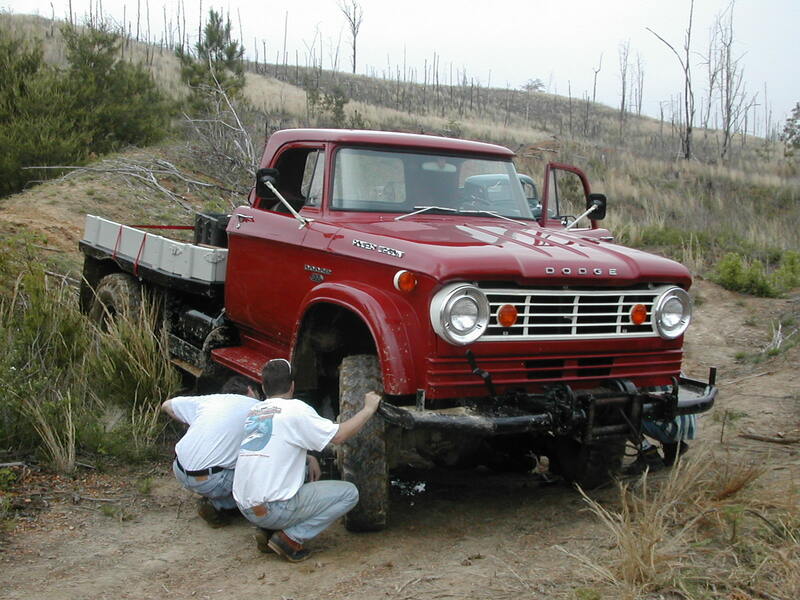 16 Scoping out the transmission on the W500 prior to pulling the PTO and the cover plates. 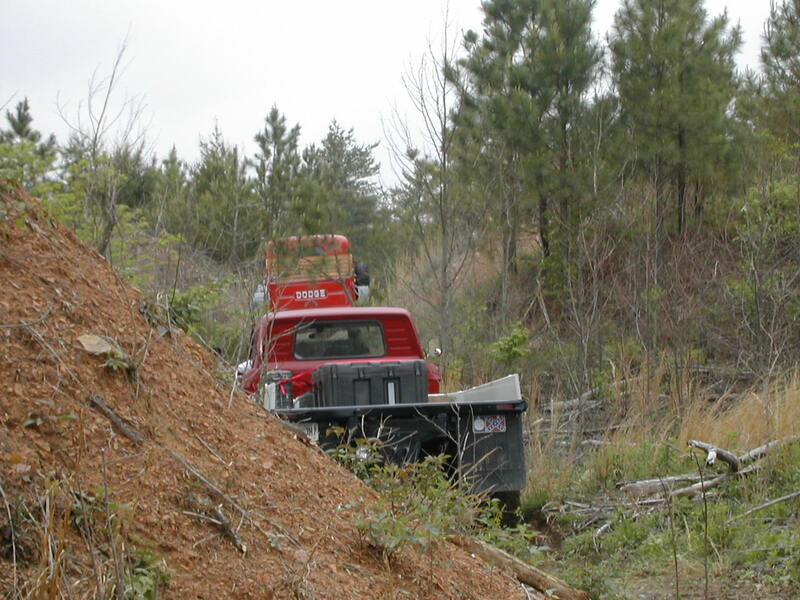 17 My truck resting after winching the W500 of the ridge where it had gotten stuck. 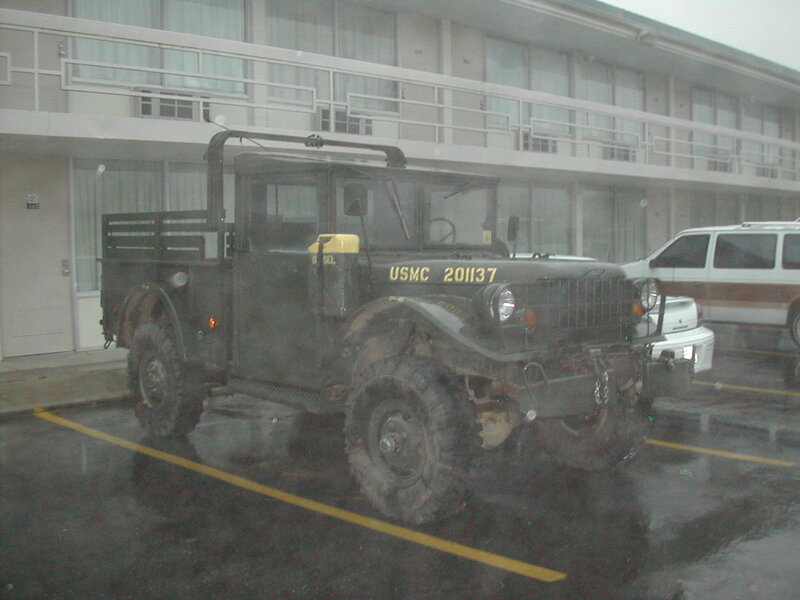 18-22, 24, 25 Photos taken in the rain at the lower cost motel up the street from the rally hotel of John's modified M37 built to Israeli Defense Forces specifications. 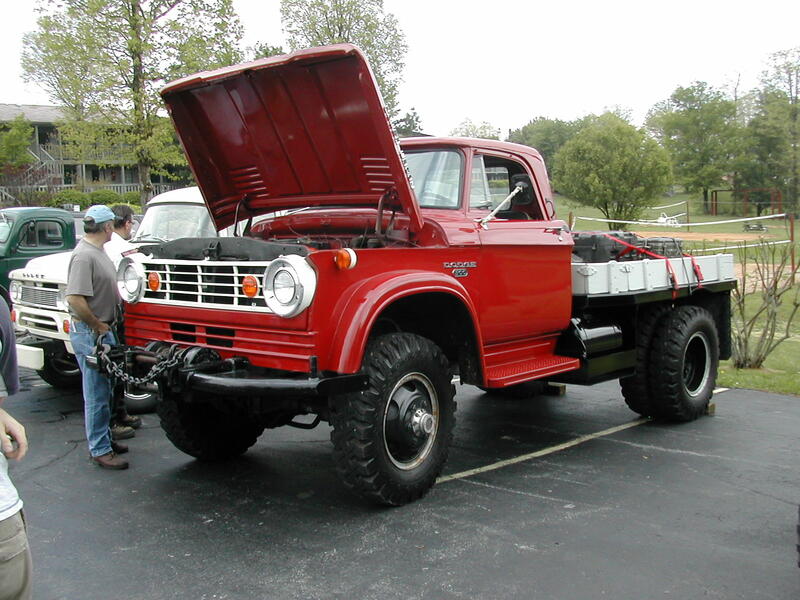 Truck has smallblock, NV4500, AC/PS/PB and insulated cab along with a host of other "tweaks". 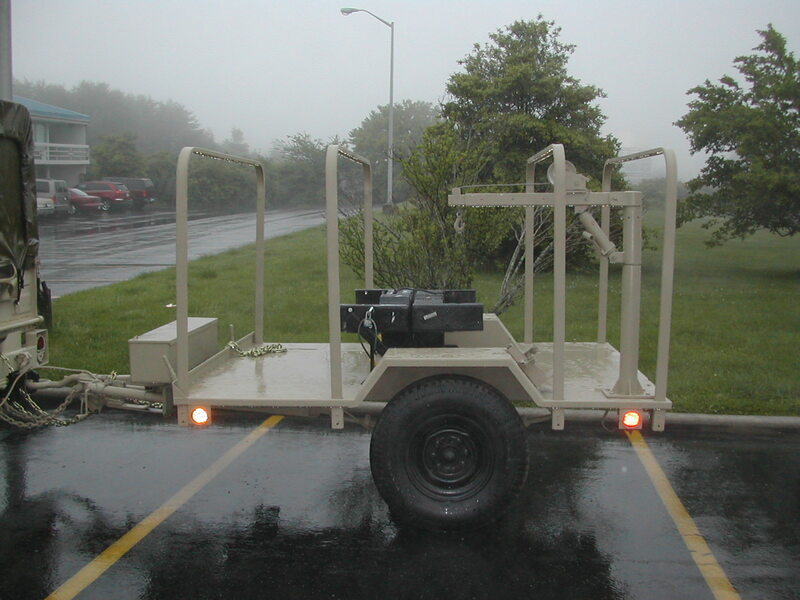 23 M116 generator trailer behind John's M37 with the swivel assembly from a swivel frame Power Wagon as cargo.